The policies of the music labels are sometimes hard to follow. Take this new release from EuroArts. A live recital from one of the top pianists of the moment in one of the world’s best concert venues is filmed in high-definition, only to be released on a DVD instead of a Blu-ray. As if to underline this aberration EuroArts uploaded a tantalizing clip on Youtube in full HD, as if to say: “This is what we could have given you, but we still preferred to give you a downgraded version in lossy sound.” Go figure. All the more a shame because this Denis Matsuev concert is beautifully filmed, lit and edited (courtesy of Sébastien Glas and the French Idéale Audience team), taking full advantage of the magnificent Amsterdam Concertgebouw setting. I attended this recital in October 2015 and back then it was with the ravishing Tchaikovsky Seasons, not often heard in complete form in the concert-hall, that Matsuev left the strongest impression. Revisiting the recital now from the comfort of the living room, it’s still the Tchaikovsky that’s worth the price of admission for me. Matsuev is a fabulous pianist, as we all know. Yet he isn’t always the most subtle musician. His technique allows him to tackle about everything with complete freedom. Yet it’s exactly this freedom which can get the better of his musical intelligence and poetic instinct. At his best, though, Matsuev finds a balance between his big, overwhelming sound-sculpting and the nuances of the text. When he does, he can be utterly compelling, as in most of the Tchaikovsky here. When not, he can be utterly monochrome and even cartoonish. As in Schumann’s Kreisleriana and, perhaps surprisingly, in parts of Stravinsky’s Petrushka too. In Tchaikovsky’s Seasons Matsuev captures the character of each of the pieces with precision. He is mesmerizing when he slows down and lets the music breathe in sheer contrast to the more eruptive passages. Characteristically for Tchaikovsky, the often deceptively joyous air is balanced by a darker undercurrent, effortlessly captured by the pianist. Every month may be crafted into a miniature gem, it’s Matsuev’s sense of unity, which makes you forget Tchaikovsky composed them on a monthly basis, that is the most impressive. I wasn’t that convinced by Matsuev’s rendition of Keisleriana and neither I am now. It’s German 19th-century romanticism in an average modern, 21st-century Russian translation. While obviously focused and articulated, Matsuev is emphatic and relentless, even aggressive, verging on the demonstrative in the more turbulent passages. His sonority turns uniformly loud and booming, lacking in contrast and color. It isn’t the recording, I had the very same impression live in the Concertgebouw where the acoustics inflated the basses even more. Stravinsky’s Petrushka kicks off well enough, lively and well-shaped, but also loses its interest in the final Shrovetide Fair part which Matsuev turns into a steamroller of big sound (again these booming basses), rather than an attempt to bring out the harmonic and percussive possibilities of the instrument. Impressive as a knockout display of stamina and powerhouse pianism, perhaps, but hardly the stuff for repeated listening. The recital ended with a well-constructed and well-played series of encores. From Lyadov’s Musical Snuffbox, Op. 32, over Tchaikovsky’s superb Méditation, Op. 72/5 and the rare Sibelius’ Etude in A Minor, Op. 76/2 (it’s so rare that EuroArts even forgot to list it in the booklet) to Scriabin’s turbulent Etude in D-sharp Minor, Op. 8/12 and Matsuev’s own dazzling and funny Jazz Improvisations. Denis Matsuev fans won’t hesitate although they too will be disappointed by the lack of true HD in image and sound. Others will mainly go for the beautiful performance of a Tchaikovsky rarity. Categories: Blu-ray and DVD reviews | Tags: Concertgebouw Amsterdam, Denis Matsuev, Kreisleriana, Petrushka, piano, piano recital, Piotr Ilyitch Tchaikovsky, Russian piano school, Seasons | Permalink. Franz Liszt most likely had his bit of fun when he published his Etudes d’exécution transcendante. Although his final edition from 1852 may be more accessible than its earlier incarnation, as is well known even these aren’t studies for the beginner or the advanced amateur, but fiendishly difficult pieces (Daniil Trifonov describes them as “technically challenging poems” or “existential meditations”) for virtuoso pianists at the top of their game, and then some. Performing all 12 Etudes live in concert has long remained a rare feat, still both pianists considered here have successfully accomplished this several times. It wasn’t so long ago that the Etudes were the exclusive domain of mature Liszt specialists who tackled them on disc as the crowning achievement in this repertoire. 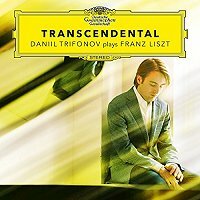 Yet, Kirill Gerstein is 36, Daniil Trifonov is barely 25, and these are their first Liszt-only discs. Times are changing. These new discs recorded in the studio are superb achievements by any means and can be recommended wholeheartedly. Both Russian pianists share an irresistible joy of performing. They traverse the Etudes with seemingly effortless ease and find a convincing balance between jaw-dropping virtuosity and inspired musicality, drawing attention to the lasting value of Liszt’s oeuvre as the invention of the modern piano. Needless to say, there are differences too. Moreover, Trifonov’s generous “Transcendental” set for DG also gives us the 5 Concert Etudes and the Grandes Etudes de Paganini on a second disc. Kirill Gerstein is an intelligent, inquisitive musician. (He recently also set the record straight regarding the score of Tchaikovsky’s famous First Piano Concerto.) Gerstein clearly sees the Etudes as a coherent cycle to be played as a complete set, starting with the virtuosic try-out of the keyboard in the Preludio and culminating in the truly transcendental, modernist sonorities created in Chasse-Neige. Gerstein’s structural grip is obvious when considering the pieces individually, especially the more elaborate ones like Mazeppa, Ricordanza (in a terrific rendering), Harmonies du soir and Chasse-Neige, but is even more impressive when the cycle is heard in its entirety. As he explains in the informative interview published in the booklet of this Myrios release, it helps coming to grips with the Etudes by thinking of them as a collection of pairs, not just tonally but also by character. This approach sheds new light on the cycle, creating extra dramatic contrast. 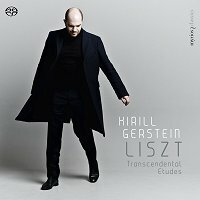 While Daniil Trifonov also performs the complete Etudes d’exécution transcendante in concert, in this recording I was less struck by the coherence of the cycle than in Gerstein’s hands. Arguably most listeners won’t be bothered by this, because Trifonov’s pianism is such a stunner (he is more controlled and above all more accurate in the studio than live, and is also slightly better served by the engineers than Gerstein). His remains a tremendously exciting journey, always articulate and brilliantly colorful, but by his seemingly impromptu approach the individual character of the pieces tends to dominate the bigger architecture. Trifonov can be very theatrical, allying telling silences with fierce attacks or dazzling fusées, but I missed some of the gravitas that Gerstein sensitively conveys in the more melancholic passages. However, where Trifonov remains unequalled is by the lightness and transparency of his textures, weaving these ultra-delicate but flexible tapestries of sound in notably Paysage and Feux follets, as well as in the lyrical Concert Etudes La Leggierezza and Il Sospiro, and the impressionistic Waldesrauschen and Gnomenreigen. He also makes a very strong case for the underrated Paganini Etudes, including a very refined rendition of La Campanella, a marvelously handled Arpeggio and an eloquent La Chasse. In short, these are utterly rewarding releases, new frontrunners in this repertoire that deserve a place in every serious Liszt or piano collection. Categories: CD reviews | Tags: 19th century, Daniil Trifonov, Deutsche Grammophon, Etudes d’exécution transcendante, Franz Liszt, Kirill Gerstein, Myrios, piano, Romantic, Russian piano school | Permalink.